Don Charles Osborne passed away on June 12, 2018 in Bakersfield, California at the age of 95. Don was born near Fellows, California on November 7, 1922 to Mary Ellen Barden and Dorcy "Doc" Osborne. After Graduating from Taft High Don moved to Long Beach, California where he was employed as a carpenter for Douglas Aircraft. He joined the military and was trained as a B-17 gunner, flying thirteen successful missions over Europe. He was shot down over Germany in October 1944. Don spent over 7 months as a POW before being liberated at the close of the European campaign. Don was proud of the small part he played in the Air War over Europe as a crewmember on a B-17. His tour included bombing missions in support of the ground troops during the Battle of Normandy. He earned several medals and citations, including the Purple Heart and 6 Bronze Battle Stars. After Don was honorably discharged from the U.S. Army, he went to work for Santa Fe Energy Co. in Fellows. Ca. He worked for 37 years, working his way up from driving a garbage truck to Manager of Operations for Central and Northern California. Don married Dorothy Inez Boyd in 1947 and they were married for 56 wonderful years. After retirement Don wrote a book, "Bail Out'', about his story of WWII and being a POW. In his book it reads, "I placed my trust in God and tried my best to live my life one day at time knowing that the Bible says all things work together for good." He was also very active in the 457th Bomb Group Association and was able to travel to many of its reunions including the Glatton Air Base in Europe where he was stationed. Don loved playing baseball, rooting for the Dodgers and working in his shop and doing most of the maintenance at his church. If he had duct tape or PVC pipe he could fix anything. He had quite a sense of humor and was dearly loved by his nieces and nephews. 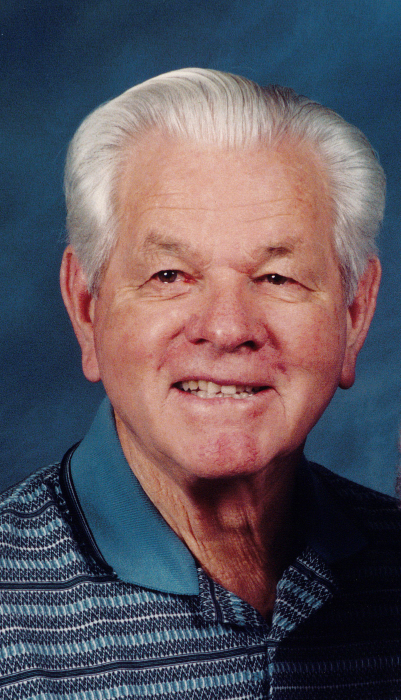 Don was preceded in death by his wife Dorothy in 2003; along with his parents Doc and Mary Ellen Osborne, his brother Delbert "Bud" Osborne and wife Ruth and brother-in-law, Ivan Boyd. Uncle Don leaves behind nieces: Claire "Cleo" Giachino (Jim) and Cathi Wesson (Roy) and nephews: Richard Osborne (Cindy), Glenn Boyd (Tricia), Jerry Boyd (Staci) Daniel Osborne, sister-in-law: Irene Boyd and friend Virginia Tays, along with many great nieces and nephews who all loved him very much. In lieu of flowers, please donate to your local animal shelter or church. A Heartfelt Thank-you to Brookdale Riverwalk’s Skilled Nursing Staff as well as Dr. William Bichai and Bakersfield Heart Hospital. Graveside Services with Military Honors will be held on Monday June 18, 2018 at 10am at West Side District Cemetery in Taft, CA.